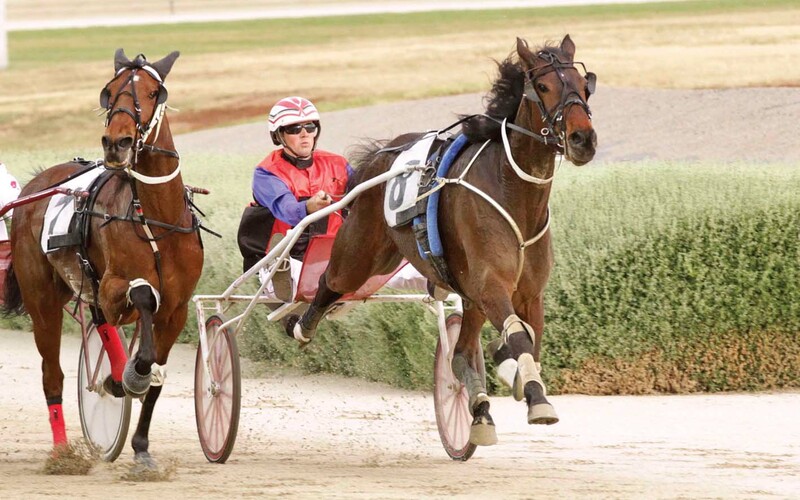 HANDY squaregaiter Majestic Ess Jay is expected to bounce back to the winners’ circle in Launceston on Saturday night. Triumphant during his first two Tasmanian starts, Majestic Ess Jay then finished second before a fourth last weekend. While the effort appeared to be solid, trainer Eric Jacobson was disappointed with the son of Majestic Son. “He was working well before the race but didn’t run to expectations,” Jacobson said. “He finished fourth, but I felt he should’ve gone better than he did. “He did sweat up a bit and was white after the run, so I got his blood done and it showed nothing. Majestic Ess Jay’s pending appearance will see the gelding share the 20-metre back mark in the Launceston Trotters’ Cup. Redason, which Jacobson rates as the main danger, will also come from the 20-metre line. “It’s only a six horse field over 2698 metres, so there isn’t a big field to get around and plenty of time to make up the handicap,” Jacobson said. “If he goes as well as I know he can and is working, he will be very hard to beat. With no major plans in mind for the eight-year-old, Jacobson will search the program for “what I can find”.